Google Glass is a revolutionary piece of wearable technology, offering users never-before-seen features and cutting edge apps. With Google Glass, users can browse the web, visit social media sites, answer calls, get instant information, take pictures and much, much more without lifting a finger. The huge advance in modern technology is already having an impact on military forces and governments, with research into the use of Google Glass for surgeons already under way. Google Glass is wearable technology; essentially a pair of glasses without lenses which instead have a battery powered heads-up display (HUD) just above the right eye, a microphone, a camera and a GPS. The high resolution display is the equivalent of a 25 inch high definition screen from eight feet away. Wearers of the Glass simply glance upwards to view what’s on the display. Google Glass displays information on the screen in a smartphone-like format, and is voice operated. The Glass can carry out a number of tasks, similar to those of a smartphone. There are several exciting and useful apps available for the Google Glass, such as Google Now which provides up to date travel information including flight times and hotel reservations. Google Glass can also send messages, switch music on and off and provides the Google Search function. The Word Lens app translates printed words from one language to another in real time. An app called BioGlass is being developed which will allow the Google Glass to determine how stressed you are based on your heart and breathing rates which it will be able to measure. More and more useful Google Glass apps are being created every day. 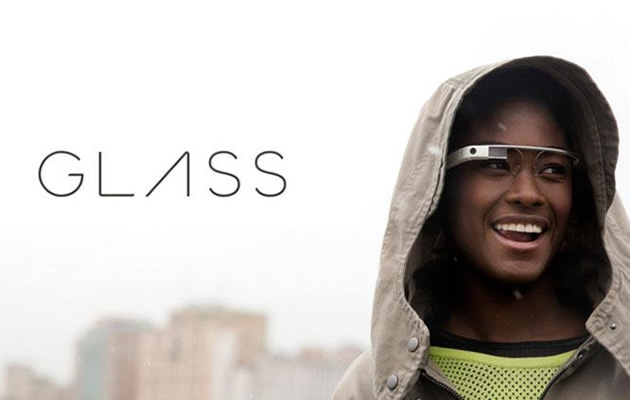 See a full list of Google Glass apps here. The US military may soon be using Google Glass in combat. American company TrackingPoint have developed a new smart rifle that can show a live sight on the Google Glass screen. The system works by sending a live video feed from the rifle straight to Google Glass or an iPad, meaning that soldiers will be able to aim and fire their rifles without actually having to be in a position to directly see the target. The technology will also take into account wind, elevation and air pressure. It will allow soldiers to be able to shoot from behind corners, low walls and other covered positions. The government of Nepal have implemented Google Glass as part of their strategy for tackling poachers of wild animals and herbs in several World Heritage sites around the country. They have combined Google Glass with an ID-based wearable monitoring system and unmanned aerial vehicles to be able to track rhinos, tigers and elephants. They are hoping that through the use of the new system they will be able to significantly reduce the number of animals being illegally poached each year. Who can buy Google Glass? The Google Glass Explorer version first became available for testing for keen users after the company ran a competition in the US back in 2013, although they still had to pay $1500 for a pair. The Glass Explorer Program has now been opened to the UK, with UK residents over the age of 18 now being able to Get Glass for £1000 a pair. The Glass Explorer Program involves getting feedback on the product from early adopters to help shape the final product before the general release. Google Glass is not yet ready for general sale, as the company are still working to make changes and improvements on the product. It is still unclear when the final product will become available.